Sarah Barber is a junior at DGS and the Online Opinions Editor for Blueprint. She is a member of the DGS speech team, which she joined her sophomore year and has loved ever since. Barber is also involved in Mad Dash, Mustang Way, Operation Snowball, freshman play and Masque and Gavel at DGS. In the future, Barber would like to attend either New York University, Northeastern University or Villanova University to double major in journalism and international relations. 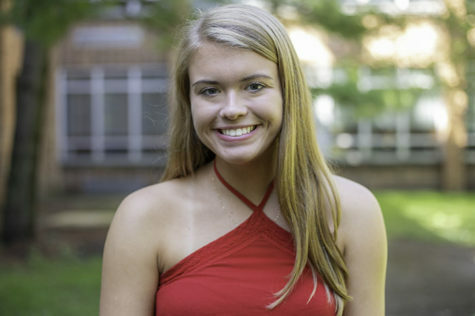 During the summer of 2018, she attended a week-long camp at Georgetown University studying American politics -- which helped her interest in the subject of politics and foreign policy grow. Outside of school, she is involved in Peer Led Life Skills through the Downers Grove Park District and works during the summer at Cypress Cove. When she's not studying or writing articles, Barber can be found listening to music, cleaning and taking naps with her dog.